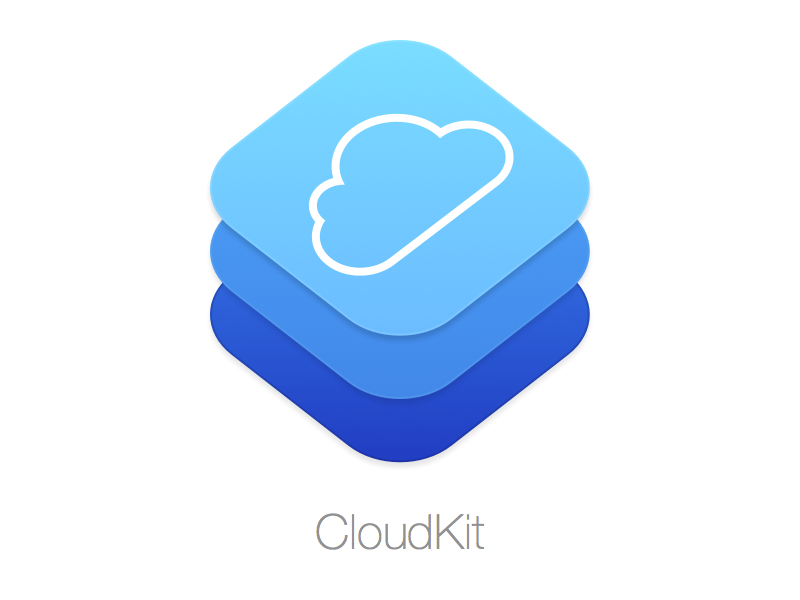 Developers are receiving notice that Apple will wipe all CloudKit data on Monday, July 7. 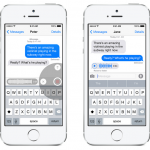 This is just one day before iOS 8 beta 3 is expected to launch next week (July 8). 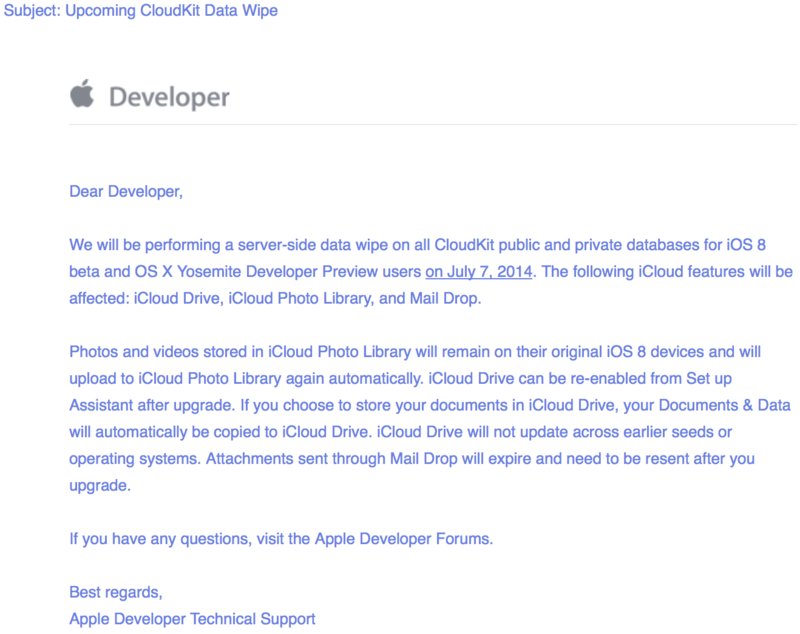 As mentioned above, this includes iCloud Drive, iCloud Photo Library, and Mail Drop. While documents in iCloud drive will not transfer, photos and videos from your iCloud Photo Library will automatically be updated. 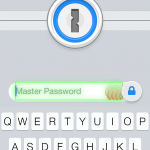 If any developers have further questions or concerns, Apple suggests visiting the forums. Beta 3, here we come!